ETHAN, JOHN AND MARK DO ANOTHER BIG DAY! Jon, Ethan and Mark looking and listening. 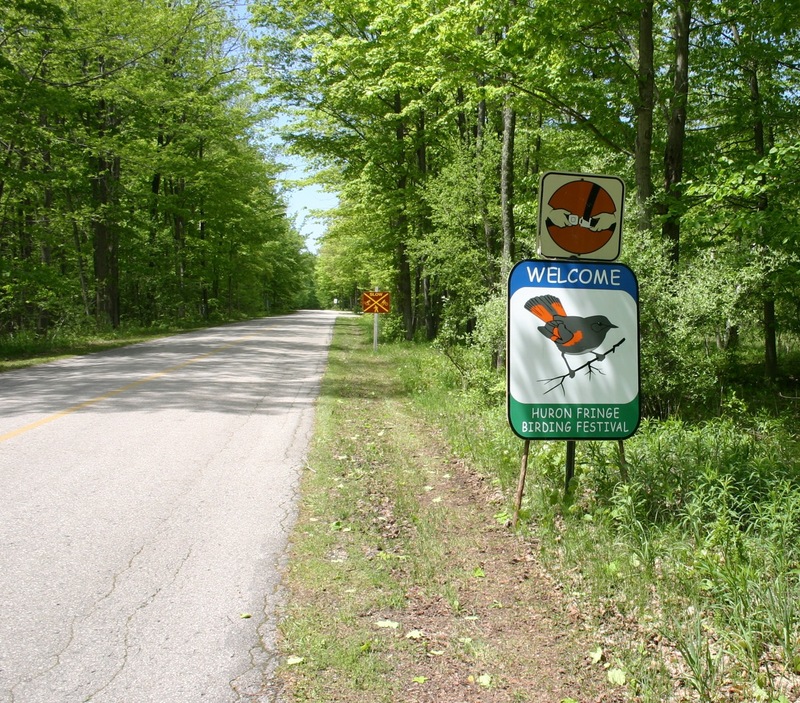 On Monday May 19, at 2:00 AM, Ethan Meleg, Mark Wiercinski and John Haselmayer left Wiarton to begin their 10th Annual Bruce Peninsula Birdathon. Nineteen hours, 380 kilometres and 167 species later (their third best total) they made it to Tobermory, bleary-eyed, sleep deprived, but happy. Pond at MacGregor Point Provincial Park (MPPP). Our three intrepid birders are long-time friends of the Huron Fringe Birding Festival having led events and made presentations over the years. Ethan is a renowned outdoors photographer. Mark and John are biologists. All are well respected for their expertise in Ornithology. If anyone wants an Excel copy of their Bruce Big Day Bird Count with a summary of results you can contact them with your request. ALL PHOTOGRAPHS COURTESY DON WILKES. PHOTOS ARE FOR BLOG ONLY. NO OTHER USE IS PERMITTED WITHOUT PERMISSION OF THE PHOTOGRAPHER. ILLUSTRATE AND/OR TELL YOUR STORY RIGHT HERE ON OUR BLOG. THIS FOUR LEGGED PLOVER WAS SENT BY STEWART NUTT. SEND US A WORD FILE (ABOUT 500 to 800 WORDS) AND A COUPLE OF YOUR PICS (JPEG PLEASE) AND WE WILL POST YOUR STORY WITH YOU AS AUTHOR. SEND YOUR STUFF TO: pepper.nanni@sympatico.ca. A large number of hungry birders gathered at St. Joseph’s Parish Hall in Port Elgin to celebrate the 17th anniversary of the Huron Fringe Birding Festival. John Cummings,our usual Master of Ceremonies welcomed everyone and recognized two of the original HFBF members still active, Nora Toth and Micke Pickup. Bette Jean (BJ) Martin was recognized with this year’s Norah Toth Award for her years of commitment and service, but more specifically, for helping to create and develop a new automated registration program. Judith King (the first HFBF chair) was recognized for her years of dedication to the Festival. Marshal Byle, who has been an event leader every year since the Festival began, was also recognized for his commitment over all those years. And by the way…this hand-made Oriole feeder is what we bid for at the Silent Auction. And that feeder – that was hand made – it was crafted by our own Facebook Master Bruce Edmunds. If you talk to him nicely and follow us on Facebook…maybe he’ll even make you one. If you ask nicely. Day One dawned cold and grey with a slight drizzle in the air. As I drove into the park the temperature on my dash read 5 degrees C. The folks at Environment Canada are calling for clouds, showers, fog patches and a risk of thunderstorms, high of 17. Not an auspicious beginning. But, the rest of the weekend is calling for high 20’s and sunshine. But weather is nothing to those who come seeking bird and wildflowers. A gathering at the registration tent. This is where you come to meet the nice ladies who make the tent their home starting everyone morning around 5:00 AM for the duration of the Festival. So smile when sign up and get your badge because they’re a little sleep deprived. And if you’re craving your mooning caffeine, come into our newly redecorated and freshly painted Visitor’s Centre…what you need is close at hand. Timmy’s coffee. muffins and donuts…fresh first thing in the morning because the ladies of the tent pick them up at 5:00 AM. Again, another reason to smile when you sign up. And each day the Southampton Rotary Club offers a BBQ lunch and refreshments for a nominal cost between 11:30 AM and 1:00 PM…so there’s no way you’ll go hungry at the Festival. Mike Pickup will be at the Visitor’s Centre Saturday, May 24, at lunch time to sign his new book on birding at MacGregor. Drop by for your personally autographed copy and a chat about birds. 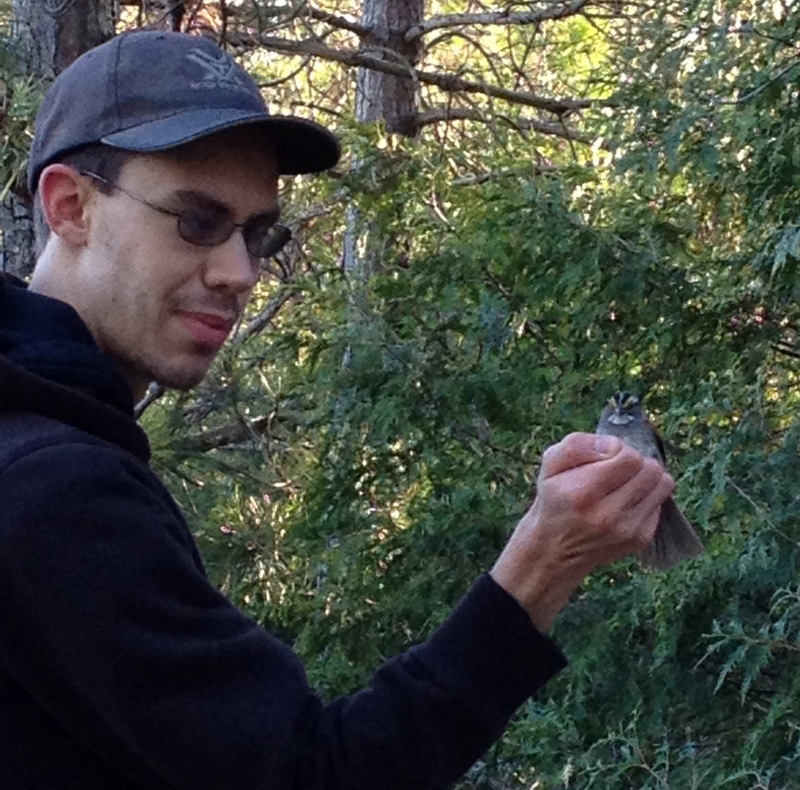 Brendan Toews presents a LIVE BIRD BANDING (weather dependant) DEMONSTRATION on May 24 and 25 ONLY. The fun starts at 6:00 AM and runs through the lunch hour. So grab your Timmys at the Visitor’s Centre in the morning or a Rotary Club burger at lunch and join him. Getting Ready for the Weekend. Huron Fringe Birding Festival begins this weekend at MacGregor Point Park in Port Elgin. Walk-Ins accepted at the Registration Tent. 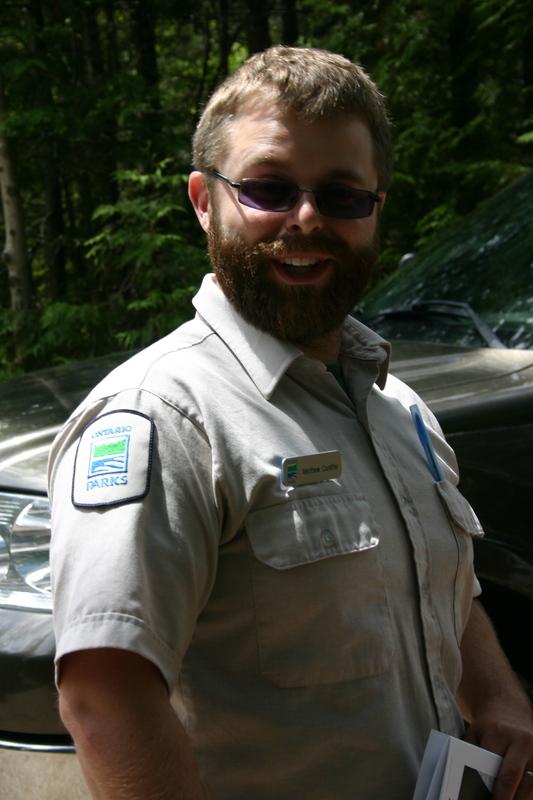 Matt Cunliffe is Natural Heritage Education Leader at MacGregor Point Provincial Park. If you’re registered for any Huron Fringe event you’ll no doubt see him and his team doing everything they can to make your visit and event as enjoyable as possible. He is leading Wonders of the Wetland on Day One of the Festival…but sadly its full. Nonetheless you’ll get a good idea of Matt’s personality in the field when you read the following. We asked him how he came to think like a raccoon and this is his story. Even as a kid my ‘playground’ was the outdoors. My mom ran a daycare centre in Kincardine and to escape the noise I would often play in the backyard. On top of that I grew up in the cottage community, Point Clark. There weren’t many children there, and being the eldest of three boys living in a cottage that makes the Visitor Centre look spacious, I spent most of my time exploring the shoreline and small-forested areas around me. I have always been interested in animal behaviour, as a child, often spending hours sitting in an area making notes on what critters I saw and what they seemed to be doing. I didn’t realize it growing up, but I was also conducting informal pond studies with my brothers. We would go for long hikes along the shoreline often stopping to turn over rocks to see what was hiding underneath in the water. We would each make predictions before turning over a rock, with the victor gaining bragging rights until the next stone. I was desperate for a job after my first year of University and thinking I would try my hand at food service industry, when a friend of mine mentioned MacGregor Point Park. He had spent the year before building bikes for the Park Store’s (then) new bike rental program and had gotten to know some of the student interpretive aides who worked out of the Visitor Centre (VC). He said something along the lines of “Every time we’re out on a trail, you’re going off about some plant that does this or some animal that does that; if you worked at the VC you’d have people actually listening to your trivia!” A friendly jab at the time, but it did get me thinking, what a fun, different type of summer job this could be. At the time I was determined to become an elementary school teacher, which only made applying make more sense. In no time I had my resume into the park and began to check in (maybe a little too regularly) to see if they had scheduled interviews yet. After weeks of anxious waiting, and the strangest interview questions I had heard for a job yet, I received a phone call asking when I could start. I started working for MacGregor Point Provincial Park late spring of 200, and after 8 fantastic years – I have yet to look back. I froze. I laughed nervously. I meekly asked for some time to collect my thoughts. I know now that this wasn’t a graded question. (Thank goodness). It was just Norah Toth trying to gain some insight into the natural heritage knowledge of the interviewee…that would be me. No, I didn’t mention a unique/rare species of the park, nor the Redstart the ‘flag-bird’ for the Huron Fringe Birding Festival. For a moment I drew a blank Knowing I had to answer, I felt being honest would be the best action. “A raccoon I suppose…” was all I could say. After some light chuckling I was asked why. “Well,” I answered. “To start, I am certain you have them here.” No laughter… now I was nervous (for those of you that know me well, my humour is always funny to me, but it fades in and out with everyone else). “… I, um… They work well in teams, yet are great problem solvers as individuals, they are constantly on some task, or will actively find one, and ah… if you leave any food out, odds are I will eat it.” I guess Norah found my final comment humorous after all. Throughout my eight seasons at the Park I have worked in a number of roles. Year one I was a Natural Heritage Education (NHE) Aide working for the Friends of MacGregor Point Park. I assisted with programs for the public and eventually lead my own by the end of my first season. Year two I was hired by both the Friends and the Park as a Campfire Program Leader with Rye Witter which lead to an almost ‘stand-up comedy’ routine that we would weave into our interpretive programming. If people weren’t in stiches learning about animal defences or the bazar insects of the park then we felt we weren’t doing our job properly. I mean, campfire are supposed to be fun! My third year truly set me on my current path though. I was asked if I’d be interested in acting as the NHE supervisor for a season to gain more responsibility and better hone my leadership skills. I accepted graciously and immediately knew this is what I wanted to do. Year four I was successful in the competition for the Supervisor role and I thought this is it. Year six my supervisor and mentor, Norah Toth, retired and I was again asked to act (or back-fill) a position. I jumped at the opportunity and have been working in that capacity since. I’ve spent most of my life close to Bruce County. I’m onto my ninth year at the Park. Below is a list of the Huron Fringe Birding Festival events that still have openings as of this posting. Have a look. That should inspire you to rush to register your choice on our website: friendsofmacgregor.org. A2 – 8:00 am – ROCK STARS OF THE CITY – Peter Middleton. Fifty species of fern are found in Grey/Bruce and many of them can be seen in and around Owen Sound. With Peter as your guide, you will be certain to meet a good number of these “rock stars”. A4 – 6:30 am – BIRDING MacGREGOR’S SOUTHERN BOUNDARY – James Turland. This road trip explores the forest, wetlands and abandoned farms along the park’s southern boundary. A walk to Ducks Unlimited pond includes visits to the viewing tower and bird blind. A5 – 7:00 am – BIRDING MacGREGOR – Marilyn Ohler. Learn more about birding and MacGregor Point Provincial Park by joining festival veteran, Marilyn Ohler, on a morning walk in the park. A7 – 1:30 pm – TREE IDENTIFICATION USING LEAVES & NEEDLES – Jim Coles. We will identify conifers and hardwoods in the vicinity of the Visitor Centre by leaf and needle characteristics. The use of botanical keys will differentiate between species. A11 – 6:30 am – SOUTH SHORELINE TOUR – Marshall Byle. Marshall will follow the Lake Huron shoreline and include stops at varied habitats between MacGregor Point and Inverhuron. Species may include Common Moorhen and Orchard Orioles. A13 – 8:30 am – UNIQUE HABITATS ALONG THE LAKE HURON SHORELINE – Judith Jones. Judith is an expert on dune ecology and many local species at risk. Your morning will be spent learning about the plants along the sand dunes at Inverhuron; in the afternoon you will check out the near-shoreline and forest habitats at MacGregor Point. 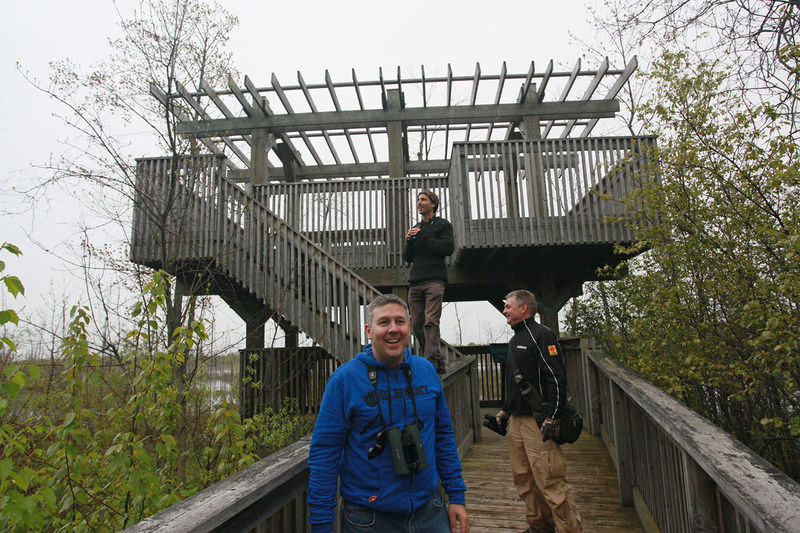 A16 – 7:00 am – BIRDING THE TOWER TRAIL – Richard Tofflemire. Campground areas, dune habitat and the Lake Huron shoreline will be featured on this morning hike. A17 -7:30 AM- THE TALE OF THE PIPING PLOVER – Stewart Nutt. Piping Plover behaviours including: courtship, feeding, life history, territorial displays and fierce protection will be observed and/or explained during your time with these birds. Become a ‘Plover Lover’. A20 -1:30 pm – MAKE YOUR SIGHTINGS COUNT – Mike Burrell. The Citizen Science project eBird is a comprehensive online bird database that is revolutionizing how birders go about their business. Contributing is simple. Other Citizen Science projects will also be discussed. A23 – 4:30 pm – SOCIAL. 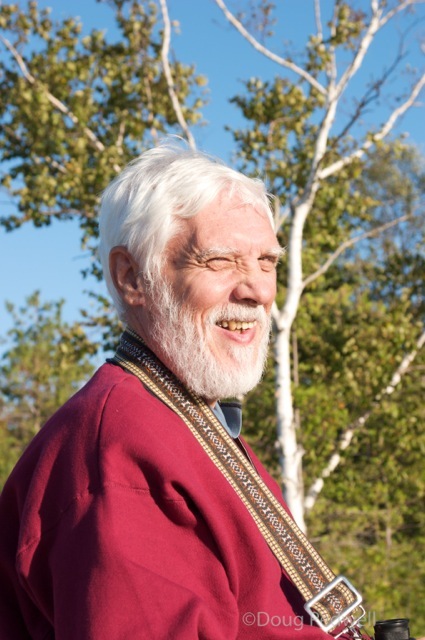 5:30 pm – BANQUET & PRESENTATION – BIRDS & SOME OF THEIR MYSTERIES – David Lamble. David is no ordinary bird lover. He will talk about bird intelligence – bird vision and his passion, bird banding, and how they all contribute to our understanding of birds. (St. Joseph’s Parish Hall, Port Elgin, Chicken Buffet, Harrigan’s Catering) (Early bird price – $35 extra per person; after April 15 or for banquet/presentation only – $45 extra per person) Casual. Bar available. Pre-registration required. Silent auction. Contact registrar by May 1 with dietary restrictions. A31 – 1:30 pm – NATURE RAMBLE – OLD SHORE ROAD TRAIL – John Reaume. A leisurely walk along the Old Shore Road Trail near the Visitor Centre. Plants, flowers, dragonflies, birds – let’s see what we find. A38 – 6:30 am – BIRDING THE PERIPHERY OF THE PARK – Mike Burrell. Grab your binoculars AND notebooks! While we are out enjoying the birds we will also be contributing to one of the biggest Citizen Science projects ever – eBird. After the hike we’ll have a quick demo of how simple it is to really make your observations count. A39 – 7:00 am – BIRDING THE TOWER TRAIL – James Turland. Walk the Tower Trail from the park road to the Ducks Unlimited pond. Habitat is a mixture of wetlands and hardwood forests. A40 – 1:30 pm – NATURE RAMBLE – OLD SHORE ROAD TRAIL – Laura Cook. Laura will take you along one of her favourite trails in MacGregor Point. Wildflowers, insects and birds seen along the route will be highlighted. A42 – 7:15 pm – IMPORTANT BIRD AREAS – Mike Burrell. Come hear about some of Ontario’s most important sites for bird conservation and how your help can make a difference on a global scale. B4 – 7:30 am – DOWN & DIRTY – WILDFLOWER PHOTOGRAPHY – Doug Pedwell. Participants will take their cameras and equipment to photograph wildflowers at a variety of locations in the park. B5 – 1:30 pm – BOTANY OF THE “FRINGE” – Barbara Palmer. Many unique shoreline plants, including Dwarf Lake Iris, are found in MacGregor Point. Barbara will help you learn to identify them. 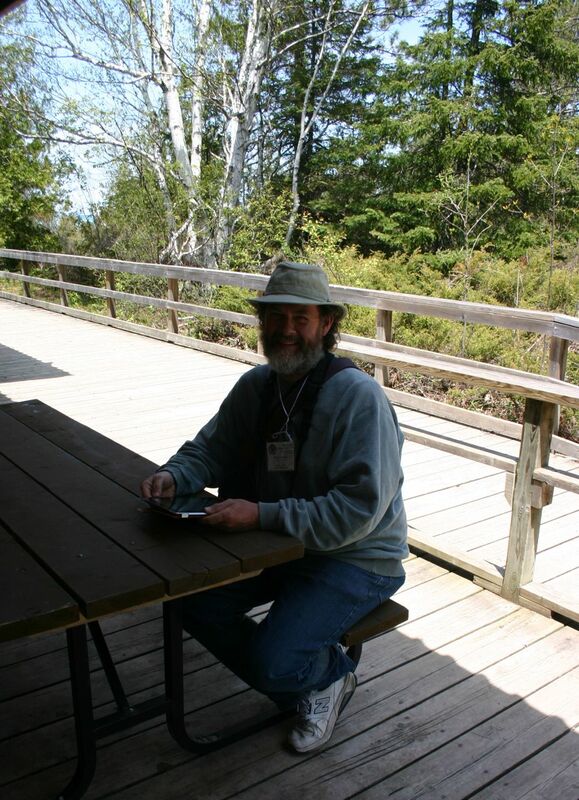 B6 – 1:30 pm – TREE & SHRUB IDENTIFICATION – Bob Gray. Take a leisurely walk in the interior of the park to identify trees and shrubs and to see how species associate with different site types. B12 – 7:00 am – BIRDING THE MacGREGOR BOUNDARY – Mike Cadman. Join Mike as he visits some hot spots including the Day Use beach, the Park Office, the old cottage entry road and along the Townline. B14 – 1:30 pm – ROADSIDE BOTANY RAMBLE – Larry Lamb. Explore various roadside habitats in the vicinity of the Visitor Centre. Learn to use identification keys and Newcomb’s Wildflower Guide (Bring yours along!). B19 – 7:00 am – ROAD BIRDING FOR GRASSLAND BIRDS – Brett Woodman. 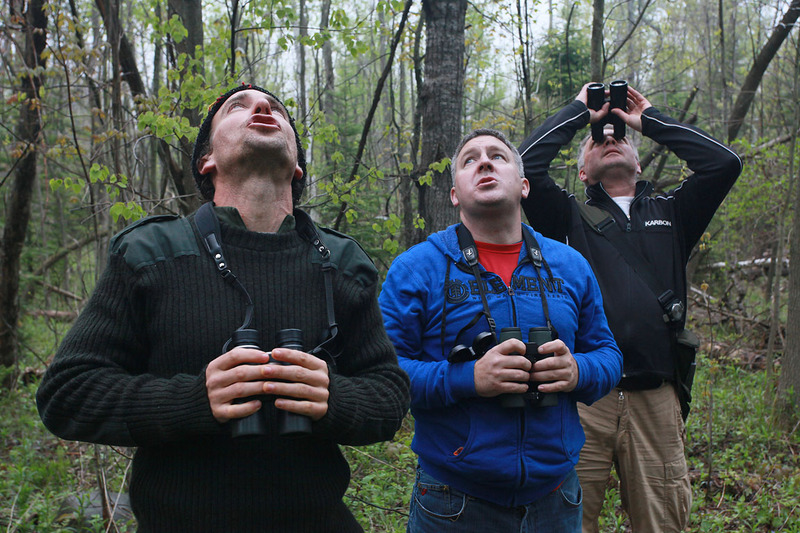 Tour the local countryside looking for the elusive nesting grassland birds of Saugeen Shores. B23 – 1:30 pm – THE TALE OF THE PIPING PLOVER – Stewart Nutt. Piping Plover behaviours including: courtship, feeding, life history, territorial displays and fierce protection will be observed and/or explained during your time with these birds. 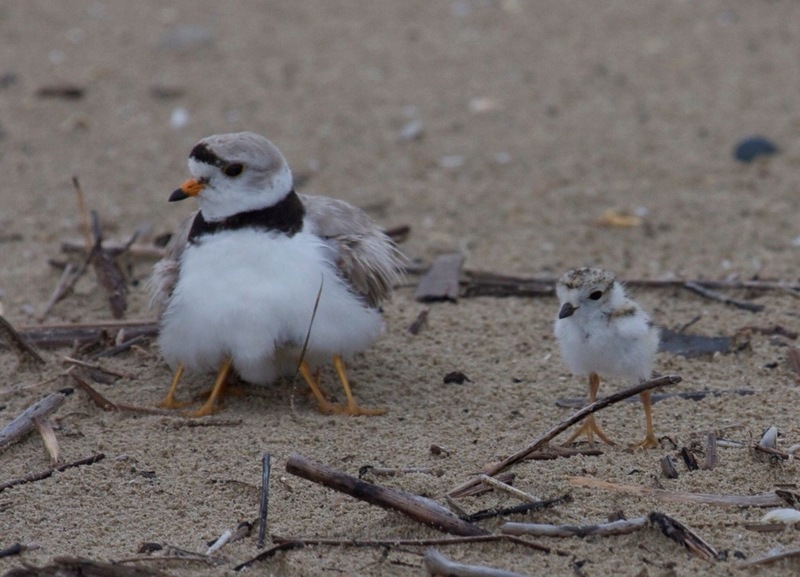 Become a ‘Plover Lover’. B24 – 1:30 pm – WILDFLOWER DIVERSITY WITHIN THE FRINGE – Brett Woodman. Here’s your chance to learn about and appreciate some of MacGregor Point’s varied wildflowers. Brett will show you some of his favourite plants. B25 – 1:30 pm – PLANT & WILDFLOWER RAMBLE – Larry Lamb. Walk the trails and campground loops from the Day Use area to Pitcher Plant Marl. Learn to use identification keys and Newcomb’s Wildflower Guide (bring yours along!). B32 -6:30 AM – BIRDING THE TOWER TRAIL – Justin Peter. Hike the Tower Trail and check the Ducks Unlimited pond from both the viewing tower and bird blind. Habitat is a mix of wetlands and hardwood forests. B34 – 8:00 am – SEARCHING FOR STRAGGLERS – MacGREGOR’S LATE MIGRANTS – Michael Carlson. Join Michael as he searches select spots in MacGregor for breeding birds as well as late spring migrants, such as Yellow-bellied Flycatcher and Gray-cheeked Thrush. B35 – 1:30 pm – EXPLORING KINGHURST FOREST – Tanya Pulfert & Catherine Jimenea. Kinghurst Forest is a special place and Catherine and Tanya are keen to take you for a walk through this Ontario Nature property. On this general nature walk you will be a Citizen Scientist and report your reptile and amphibian sightings. B37 – 7:15 pm – SUNSET WALK – John Cummings. The Lake Huron shoreline offers some of the most spectacular sunsets in the world. What a wonderful way to enjoy a sunset with friends.